Speaking to people face-to-face in one-on-one settings remains the best way to ask potential partners for support. However, fund-raising events, non-fund-raising events, and speaking in small groups can also be effective ways to build your team when done correctly. Below are the three types of events, and I strongly recommended that you add one or several of these to your FPD strategy. You want to extend your contact base and raise awareness. You will only be in town for a matter of days, and you want to connect with multiple people at once. You are having a hard time getting ahold of multiple people who are all a part of the same community. A financial partner or prayer partner of yours wants to host a fundraising event for you, and perhaps some of these are people you are meeting for the first time. Don’t let it become a shortcut. Don’t let a fundraising event take the place of face-to-face appointments. The most effective way to raise financial partners is still to ask one-on-one, not in a large group setting. It’s tempting to think of fund-raising events as a shortcut, but even while fund-raising events can be exciting and raise a lot of support in one night, they tend to leave missionaries with holes in their contact list if done incorrectly. Also, keep in mind that fund-raising events will typically raise only a fraction of your budget and most likely lead to one-time gifts rather than monthly commitments (which are much harder to raise). Get a guest sign-in sheet. If you host a fundraising event, it’s crucial to have a guest sign-in book so you can collect guests’ names, email addresses, phone numbers, and mailing addresses. Then you can follow up with them after the night is over, either to send thank-you cards for those who gave or to ask for a face-to-face appointment with those who don’t give or who give one-time gifts. Be excellent. As I’ve coached multiple missionaries over the years, I’ve seen missionaries succeed at fundraising events and others who haven’t. I’ve noticed that those who have successful fund-raising events typically have one thing in common: they go out of their way to make the event excellent. Decorations, unique cultural foods, thoughtful planning, videos that make an impact, great coffees and desserts—they all make a difference. Don’t plan your event last-minute; put thought into it, and consider what your audience wants. Be creative. I’ve seen missionaries do bake sales, T-shirt sales, jewelry sales, elaborate house shows (concerts) with local musicians, and more. Think about what you can bring to the table, and get creative! These count as fund-raising events as well and can be very effective. Although typically these types of events raise only a small portion of your budget, they can help. Choose a good time for your audience. Maybe it’s a weekend lunchtime that would work best, or maybe a weeknight would work best. Typically, it varies for your audience. If your audience members are faithful churchgoers, then don’t do a Wednesday night or Sunday night. If your audience is younger, perhaps a weekend is not the best, because they go out of town over the weekends or make a lot of plans. If you can’t figure out when would work best, poll some key people you want at the event. Make sure you don’t make your event too long. Two hours is probably the max. Guest sign-in sheet (mentioned above). A referral. If you are hosting a big event, consider having someone touched by your ministry start off the night referring you. Don’t be too humble. These are good times to get people involved, and sharing more about who you are is always helpful. Some type great of food or dessert. You don’t have to break the bank; people love Sam’s wholesale cupcakes, and they are cheap! Eurasia Cafe can help with your coffee needs. Perhaps you have a baker or cook on your team. 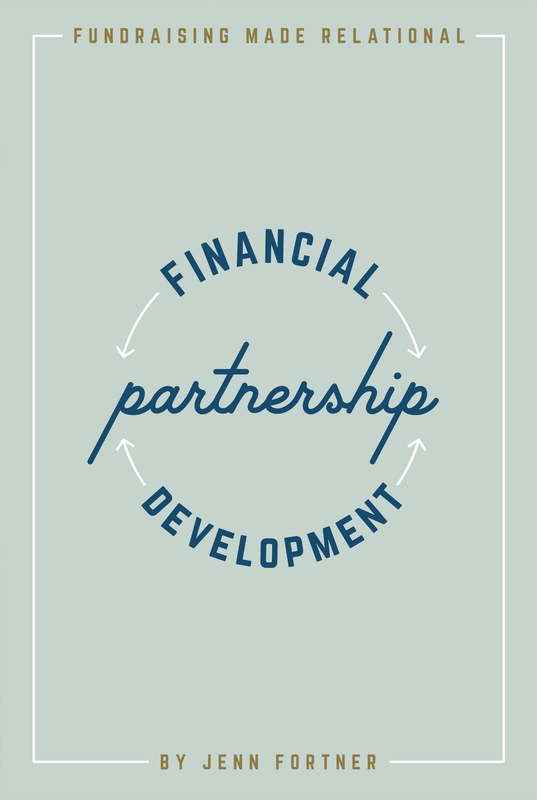 You could also ask someone on your financial partnership team to help out. Clearly share your vision. Make sure you share the vision of ministry that the Lord has given you clearly and boldly. You want to give details of your assignment, but be careful not to talk too much. When you share, it should something between your five-minute window and your face-to-face appointment. Create an outline, and practice before you share. Show a video of your ministry. Perhaps the ministry or the missionaries on the field have created a video. Consider showing it to your audience (if it’s good!). Make a trusted individual do the ask. Sometimes it is helpful to have another missionary, charismatic friend, your pastor, or the pastor of the community you are speaking do the ask for you. Make sure this person can knock it out of the park and be unapologetic about your needs. Make sure he or she also understand your needs. You want to be sure to ask someone passionate about you and what you are doing, or at the very least, someone who can make an effective ask. If you can’t find that person for your particular event, don’t be scared to do it yourself. There are many different things you could do with fund-raising events. When planning them, always write down your main goals of the event first, and work backward into the details. Continually think while planning what you hope to happen and how you hope to achieve that outcome. Holding fundraising events can be a very effective way to raise a small or large portion of your budget. Think of holding your own! You have just returned home from a ministry/missions trip. This could be a MAPS assignment, MA assignment, or something similar, and you want to share stories from the field and thank your partnership team. You want to raise awareness about your ministry to a group of people you do not know well and grab contact information for face-to-face appointments. You have spoken at a church that has become or has been a part of your partnership team. You don’t want to ask for finances, but you would like to get to know the congregation better. I love non-fund-raising events. Personally, I believe they have an advantage over fund-raising events, because they ultimately lead you into face-to-face appointments. Ideas and tips for these remain the mostly the same as for fund-raising events, but again, you do not do the ask, and hold out until it can be more of a personal delivery. These type of events are also a fabulous idea after you return home from the assignment you are currently gearing up for. Holding a non-fund-raising event will let your partnership team know they matter to you and give you the opportunity to thank them, connect with them about your future plans (or future assignment! ), and show you are invested in them. Please consider doing a non-fund-raising event after your next ministry/missions endeavor. A church small group or home group has invited you to come and speak on your ministry. A group of friends or the family of someone on your partnership team is giving you a platform to share your vision of ministry and potentially ask for finances. It’s important to remember that while speaking in small groups is the second best way to ask people to join your partnership team, it isn’t the best way. Don’t let small groups take the place of face-to-face appointments. Printed materials and/or videos. These could be the same you use for face-to-face appointments. Give them some sort of information to take home with them, if possible. These could be brochures from your ministry/mission field or printed materials you make yourself (like your packet resume). If your ministry/mission field has a promo video, show it during the small group meeting. Sign-in/sign-up sheet. Have a way to get their contact information for later. That way you can thank them if they give a gift or follow up with them afterwards for a face-to-face appointment or some sort of financial ask. Your computer and commitment forms. Make it easy for any in the small group interested in giving to do so. Have your giving website bookmarked (if you have one), and have your forms ready to go. Your best ask. Be confident and bold while sharing. If you are speaking at a small group you are not overly familiar with but have been invited into, be bold and ask for financial partnership when appropriate. Don’t be passive. Give them the opportunity to respond.